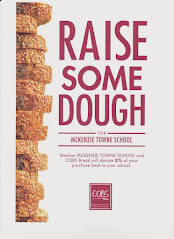 This is to remind you and encourage you to attend the McKenzie Towne School Council (MTSC) and the McKenzie Towne School Parent Association (MTSPA) meeting tonight, Monday November 30 at the Haultain Memorial School Library starting at 6:30pm. These meetings are a great opportunity to hear about the month's activities / achievements and efforts underway. Become informed and get involved. We welcome and encourage all parents/guardians/those involved to attend. We will start first with the MTSC meeting. We have a guest (Lifetouch) coming to discuss Year Book and Fundraising Picture Opportunities, as well as news from the School Council Executive, the Principal, Vice Principal and a teacher (or two). And then immediately following this will be the MTSPA meeting. This will have news about the Playground, Dance-A-Thon, a Casino update, and an initial Treasurer's Report. For more details please see the attached agendas for the MTSC and MTSPA. Also, please check out the website www.mtsparents.com. Tiffany has posted some great pictures, highlights and exciting news on the great success of Friday's Dance-A-Thon. On an administrative note, if you have not / were unable to hand in your pledge forms by / at the Dance, you still can. If you have any questions, comments and/or concerns please feel free contact me.